PHILADELPHIA, Pa. - Police are investigating a surge in scooter and small motorcycle thefts in Philadelphia, CBS Philly reported. Most recently, surveillance video released by police allegedly showed three men in hooded sweatshirts loading two motorcycles into the back of a van. Police say it happened last Thursday at 17th and Locust. "I expected this area to be secure more than anywhere else in the city," said Tiffany Knappenberger, whose scooter was snatched. 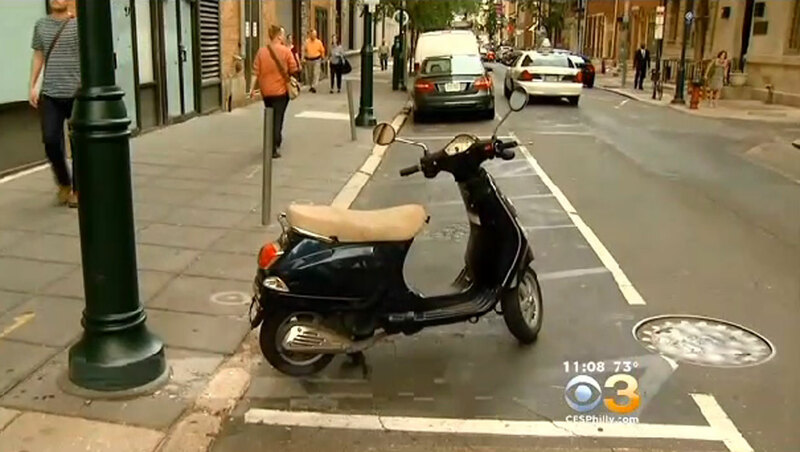 According to CBS Philly, police say nearly 20 scooters and motorcycles have been stolen over the last month-and-a-half from the Center City and South Philadelphia area. They say six of the stolen vehicles have been recovered several miles away, in Camden, New Jersey. "They are light and they are small so they are easy targets as opposed to like a big heavy motorcycle," said Rich Everill, who works at a scooter shop where customers have been talking about the rash of thefts. "Ninety-nine percent of them aren't locked up when they're stolen, so the most important thing is to get a heavy duty motorcycle chain, not like hardware store chain, but like the ones that are actually meant for power sports and lock it to something that's not moveable," Everill told the station. "At most mine weighs like 350 pounds so two guys can lift that up if they really wanted to," said theft victim Tiffany Knappenberger.